The proposal to rename the square follows an online petition urging the change, which gathered over 500,000 signatures in the days following Hussle’s death. Speaking to a packed council chambers, Councilmember Marqueece Harris-Dawson called Hussle “a West Coast hero who spent his resources and his life giving back to the community.” Harris-Dawson represents Hyde Park, where Hussle grew up and got his start. Hussle, born Ermias Asghedom, opened his store, Marathon Clothing, two years ago in the same shopping center at Slauson and Crenshaw where he was fatally shot. He purchased the property in February and planned to redevelop the site with a six-story building combining affordable and market-rate apartments, along with retail storefronts. 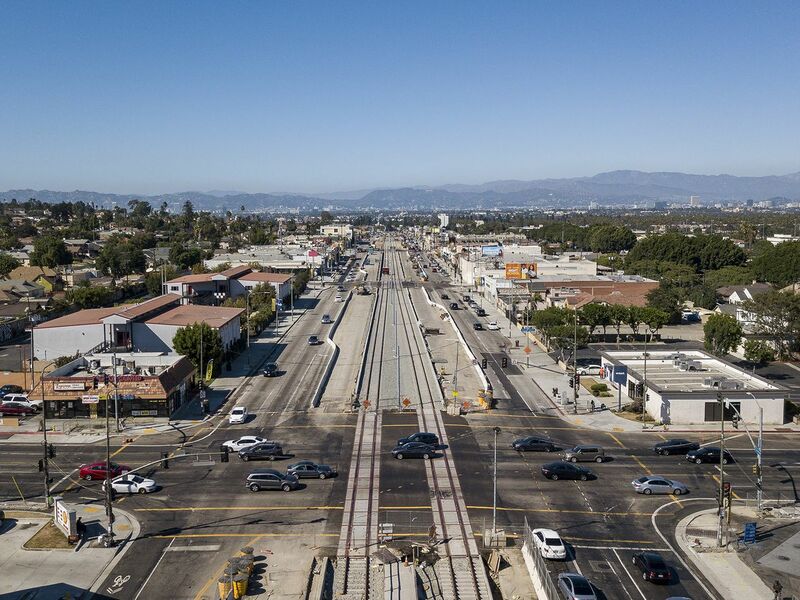 Hussle also invested in Destination Crenshaw, a project that will create a 1.3-mile-long outdoor art museum celebrating black Los Angeles along the tracks of the soon-to-open Crenshaw Line. Set to include art installations, new streetscaping, and an overlook, it’s slated to be finished in 2020. Hussle was also vital to the reopening of the Mid-City roller rink World on Wheels and founded a STEM hub and coworking space near Hyde Park. The empowering impact of his investments, his faith in the neighborhood in which he was raised, and his refusal to leave his community behind when he experienced success came up often in comments made by the public throughout the meeting. “Nipsey Hussle was a true leader, an agent of change,” resident Mario De La Torre told the council. Thursday morning, tens of thousands of people attended a memorial service for Hussle at the Staples Center, the Los Angeles Times reported. The event was followed by a 25.5-mile funeral procession which wove through South LA, passing through what is now Ermias “Nipsey Hussle” Asghedom Square before ending at the Angelus Funeral Home. Murals depicting Hussle sprung up in the last week, including one by artist Danny Mateo in an alley near Slauson and Crenshaw.